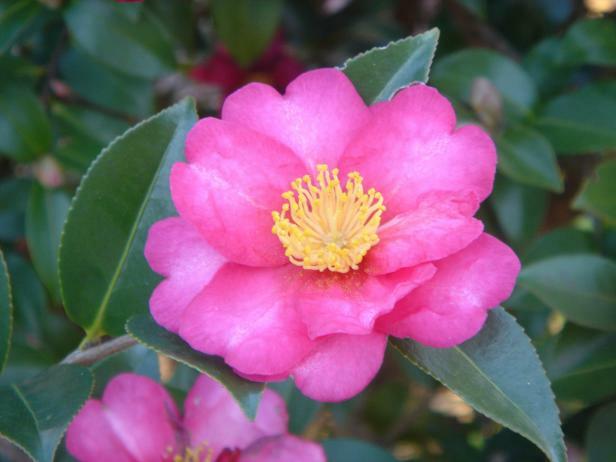 Sasanqua camellias like this one can bloom into the winter, depending on your location and the variety you choose. The garden can look dreary after frost nips the flowers and the wind shakes the leaves from the trees. But you don’t have to settle for a drab landscape. 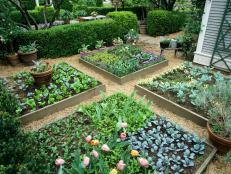 Dress up your beds and borders with plants that add splashes of cold-weather color. 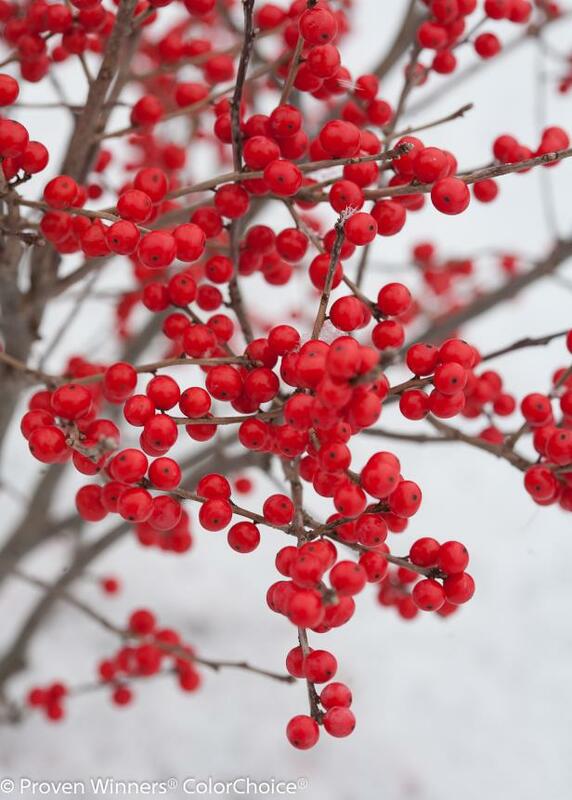 Hollies with bright red or gold berries aren't just for the holidays. These evergreen shrubs are great choices for winter interest. Use dwarf varieties in containers by your front door, or plant larger types to form berry-studded screens or hedges. Before you buy, research the variety or ask a garden center employee how it will perform in your area. A few hollies simply don't have berries, but in general, you'll need both male and female plants to get a colorful crop. Clip some winterberry stems for long-lasting indoor arrangements. 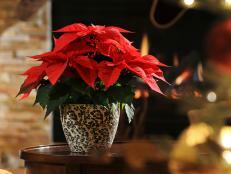 All parts of the plants can be toxic, so keep them away from children and animals. Winterberries are native hollies that lose their foliage in winter, which makes it easier to admire the crimson berries that stud their bare branches. 'Berry Poppins' (Ilex verticillata) is stunning, especially when it's dusted with snow. Or go for the gold with 'Berry Heavy Gold,' a winterberry with golden fruits. Plant a male pollinator like 'Mr. Poppins' with either of these to ensure the fruits set. For other berry-bearing shrubs, try cotoneasters like ‘Cranberry’, hardy in zones 4 to 7; beautyberries (Callicarpa) with purple fruits; and pyracanthas, also called firethorns, with yellow, orange or fiery-red berries. Nandinas also have colorful berries, and their foliage is a show-stopper when the foliage turns from green to burgundy, scarlet and purplish-red. Other shrubs and small trees brighten your landscape with unusual stems and twigs. ‘Artic Fire’ is a dwarf native shrub whose scarlet stems catch the eye when the leaves drop. It’s beautiful in a snowy yard or planted against a backdrop of evergreens. Since the old stems eventually turn brown, you'll want to prune it hard every other year, or cut back one-third of the oldest stems annually, to encourage colorful, new growth. 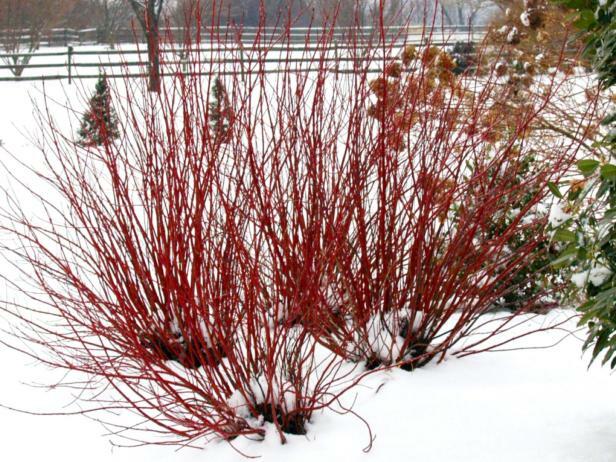 Prune Red Twig Dogwoods, which are hardy in zones 2-7, in early spring to promote new growth. For a pop of sunny color, plant Yellow Twig Dogwood, a bushy shrub with bright yellow stems. Like ‘Artic Fire,’ its new wood is the most colorful, so it needs pruning, too. For more colors, grow Bloodtwig Dogwoods ‘Midwinter ‘Fire’ or ‘Magic Flame.’ Both are deciduous varieties with yellow, orange and crimson stems that shine in the winter sun. You don’t have to forgo flowers just because it’s winter. Daphnes scent the air with white, pink or lavender blooms in mid-winter. Winter jasmine bears fragrant yellow flowers in mid-winter, too, if the weather is mild, or, in colder climates, from late winter to early spring. Witch Hazel 'Jelena' is hardy in zones 5-8. Courtesy DoreenWynja.com/Monrovia. 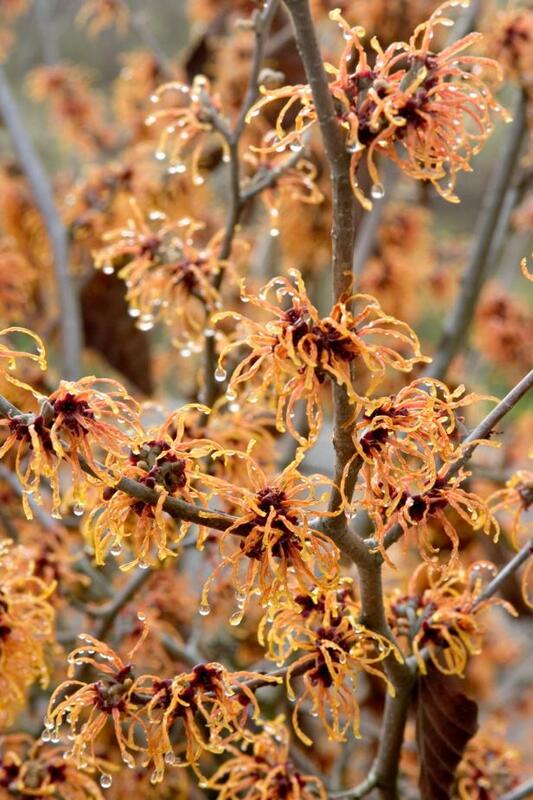 Add coppery-orange to your garden palette with Witch Hazel ‘Jelena,’. Its fringe-like flowers open in clusters along the branches. 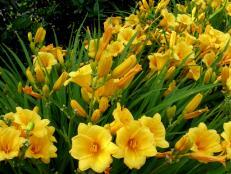 Plant 'Jelena' near a door, porch or patio, so you can catch its perfume. Different witch hazel varieties bloom at different times, so you can select one for early, mid-winter or late winter flowers. Depending on the variety, camellias open their white, pink, red or bi-colored blooms in late fall, winter or early spring. Some resemble roses while others are lush and full, like peonies. These evergreen plants hold their looks even when the blooms fade. Grow Camellia sasanqua 'Pink-A-Boo' as a shrub or hedge. 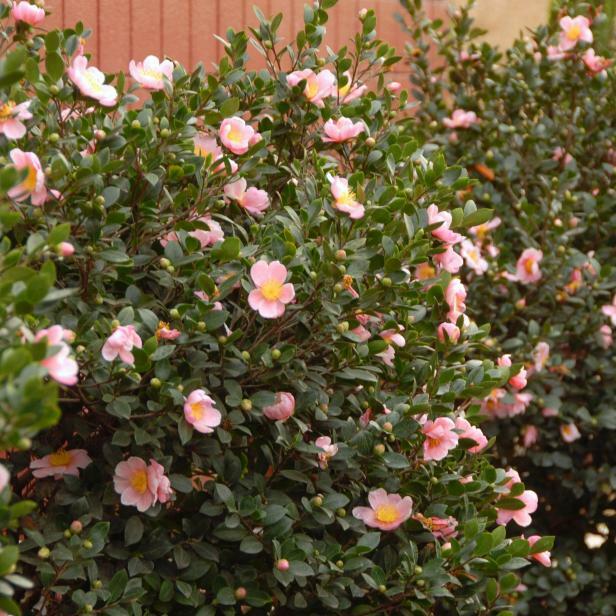 Most camellias are hardy in zones 7 to 10, but some, like the ‘Ice Angel’ series, and recent introductions like the ‘Winter’ and ‘April’ series, are hardy enough to grow in USDA Zone 6b. For a wonderful fragrance and deep pink flowers, try camellia ‘Pink-A-Boo’. 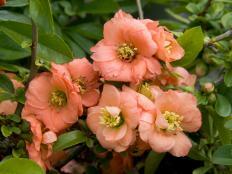 For soft color, grow Lenten or Christmas roses. These shade-loving perennials are available in cream, red, pink, burgundy, purple or pale green. The flowers can last for weeks. 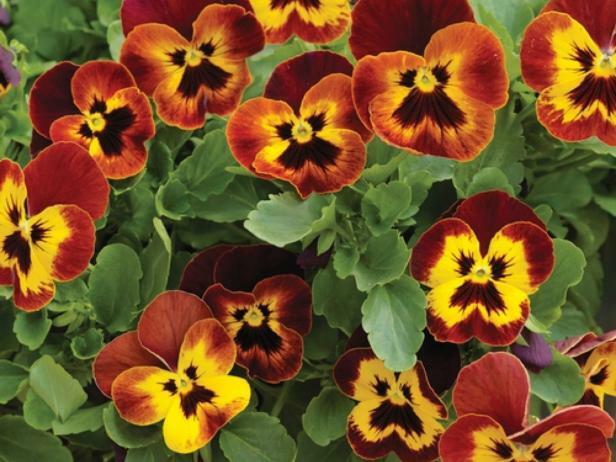 Plant pansies in containers, or use them in masses for the biggest impact. 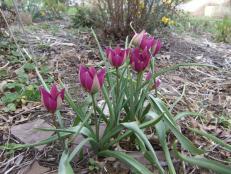 Even a few bulbs burst into bloom during the cold months. The white, bell-shaped blooms of snowdrops often push up through the snow, along with the yellow flowers of winter aconite. Ornamental cabbages and kales are also reliable plants for winter color. Look for these annuals, which come in rosette forms that resemble big flowers, in pink, cream, green and rose. After a frost, the colors become more intense. 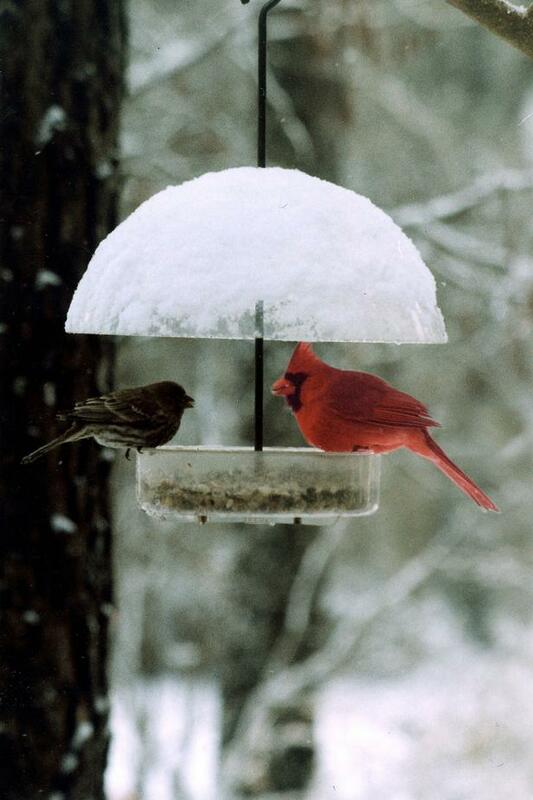 Covered bird feeders, used in sheltered locations, will draw winged visitors. Don’t forget to invite some living color to your landscape. Feed the birds during the cold season, and offer plenty of fresh, clean water for them. They’ll feast on berry plants and enjoy the feeders you stock with sunflower seeds, thistle and other nutritious treats. Unless you live where the winter sun is quite weak, add sparkle to your winter landscape with solar lights. Place them strategically, so you'll catch as much sunlight during the short winter days as possible. Don't overlook planting conifers and evergreens in your garden. 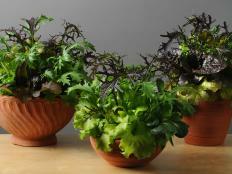 Dwarf varieties in neutral shades of green, gray-green and blue-green are attractive when grown in colorful pots. Just be sure to choose containers that won't crack in the wintery weather. 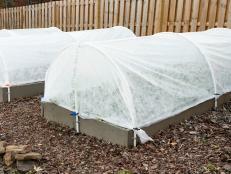 Extend your cool-weather growing season and even get a jump on spring with a DIY hoop house frame to cover a raised bed. Learn a trick to make spring garden cleanup easy—and improve your soil at the same time. 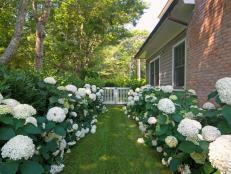 Play with a hydrangea garden design to fill your landscape with outstanding color. 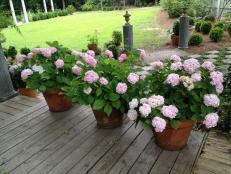 Try your hand at growing hydrangeas in containers. Learn what you need to know to succeed. 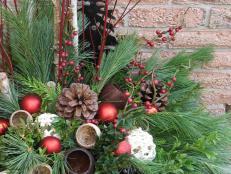 Deck your container gardens with evergreen boughs and ornaments that hold their own well into the New Year.